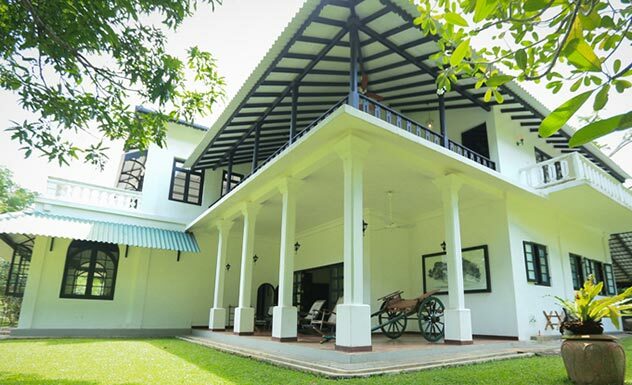 Horathapola, a family-owned mansion dating back to the 1920s lies tucked within a vast green coconut belt that stretches up the west coast from Negombo to Puttalam and inland to Kurunegala. 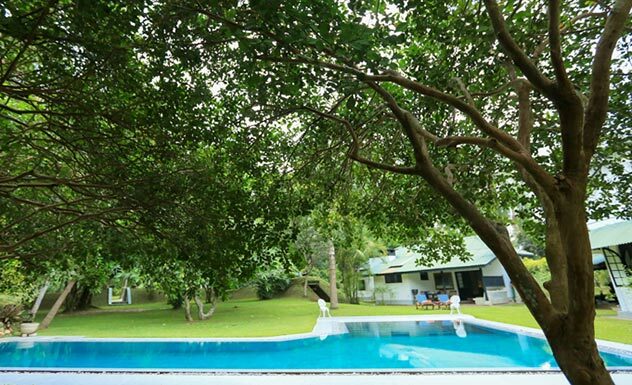 Its relative proximity to Colombo International Airport makes it a perfect base for those who want to unwind, slow down and recover after a long flight, or a place to relax before leaving, although Horathapola is well worth at least two nights. The estate is also located en route to the Cultural Triangle. 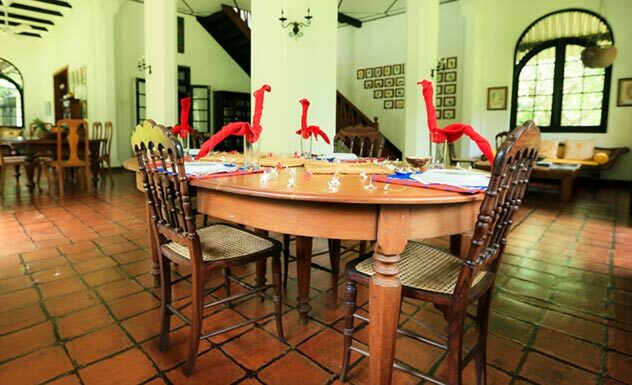 The main house which is elegantly furnished, lies within a 50 acre coconut plantation. 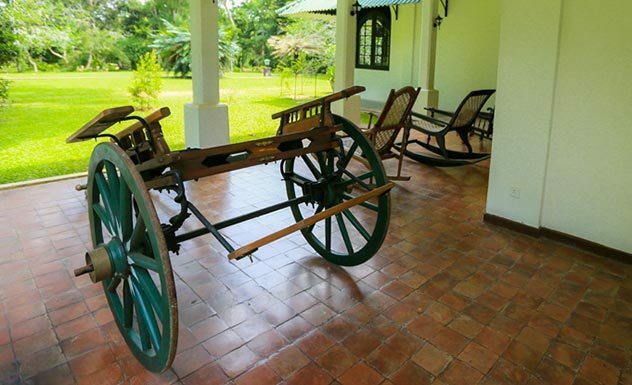 Coconut, rice, cashew nuts, mangoes and other fruits, as well as spices and hardwood trees are all grown on the estate. 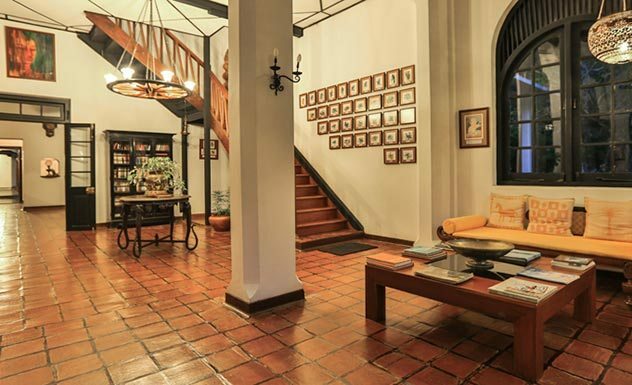 An elegant hall greets you upon entrance with beautiful terracotta floors, ceiling beams and furnished with simple, stylish antiques. There is an extensive library and plenty of hidden nooks for those wanting to read a good book or relax in peace and tranquility. The Master bedroom includes a private veranda on the first floor and overlooks the pool and gardens and is popular among honeymooners. Situated on the ground floor overlooking the front garden, the Watte Camare is the largest. Includes a four-poster king-size bed, ensuite shower room and patio that opens out to the garden. This double room is a separate unit set in the gardens. It is different to the rest of the rooms, as the architecture is more contemporary. Have your breakfast in your large veranda whilst looking out at the gorgeous pool and gardens beyond. 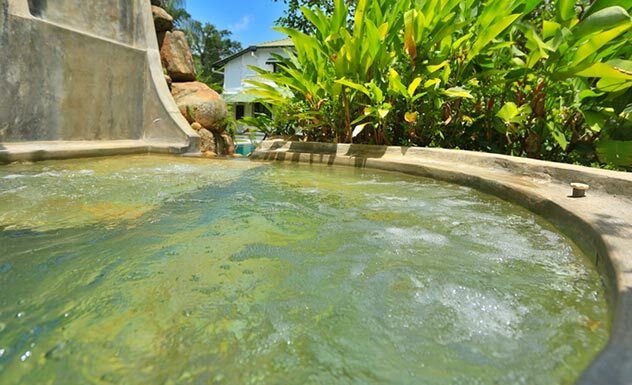 This two-bedroomed cottage is positioned just a short distance away from the main building. It can be given out for a family of four, or two couples travelling together. It has its own roof terrace. This features two adjoining rooms that are well furnished, again ideal for families or small groups of friends. 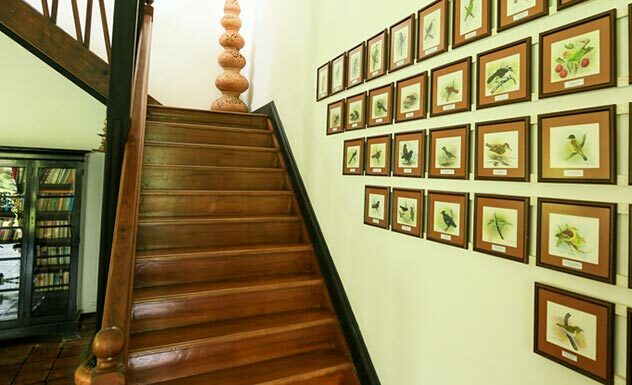 A large common balcony is shared between the rooms which are equipped with ‘haansi putu’ or lounging chairs. The food is thoughtfully prepared and immaculately presented using ingredients grown on the estate. 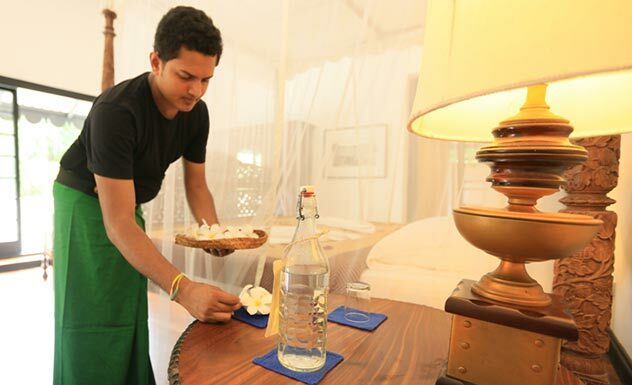 Traditional Sri Lankan curries are prepared in clay pots on the firewood stove whilst a range of western dishes are served too. Meals are served wherever you choose. 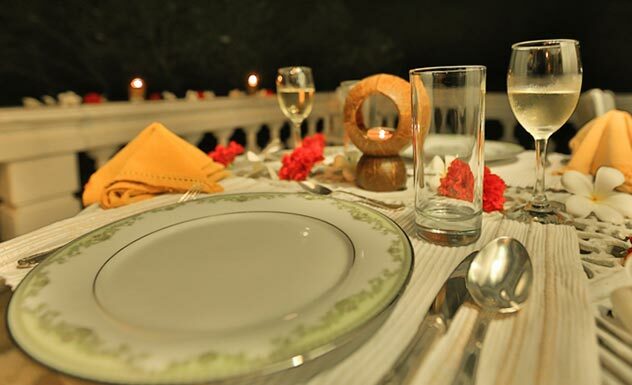 If you are looking for absolute intimacy, dine outside on one of the verandas or on your private terrace. Meal preferences will be discussed with you by the Manager beforehand so there are no dietary restrictions whatsoever. 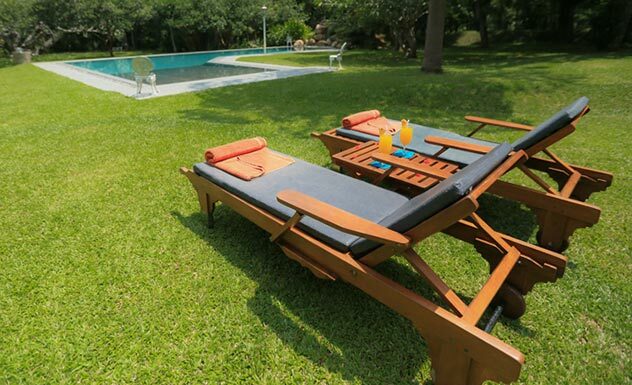 Horathapola is a great place for families, with a large garden and grounds for children to enjoy.